Today I am going to put forth a challenge to you as an adult and as a member of the global community to become involved in advocating for the rights of children on a world wide scale. I am one among thousands of bloggers who made a commitment to participate in Blog Action Day 2013. The topic is Human Rights. Today I want to challenge you to become actively engaged in advocating for the human rights of children. Children are among the most vulnerable members of any society. They depend on the adults in their world to provide for their needs. When I look around at what is occurring within the global community we are failing to insure that every child is living in conditions that promote their well-being, growth and development into productive individuals. My challenge to you today is not simple. Correcting Human Rights violations is hard work. It requires a commitment on your part to go beyond just reading about the numerous violations that occur in the lives of children to becoming an advocate who is willing to make changes occur. An adult who is willing to stand up and demand that what is wrong be corrected. It requires you to be willing to invest your time, energy and available resources to make change occur. This might seem like an impossible task or one that can be draining. Believe me, I can totally relate to this sense of feeling. However, I also know from experience that there are children in your community and in the global community who need adults to change the realities of their lives. If you're not familiar with the issues surrounding the lives of children you can visit a variety of organizational websites that not only give historical information but also provide resources that can be shared online and in your community. You can share information on children's rights issues with your family, friends, community and within your social media networks. You can join a working group in your community or start a group. 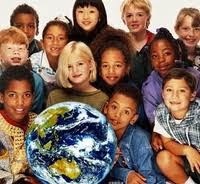 If children are not the group that sparks your interests there are ample Human Rights issues that need support. If you're not familiar with the Declaration of the Rights of the Child it is posted for you to read right here on MBEV 2.0. There are ten distinct areas that all children should be able to experience no matter where they live. Whatever you do please don't remain silent or indifferent! It is up to us to make changes that we want to see.